Are you looking for a Cat skid steer for sale? The benefit of owning a cat skid steer loader is that these powerful machines are designed to increase the productivity of your business. The Cat 226 skid steer loader offers an exceptional cab, powertrain and hydraulics. Its wide range of work tools also set it apart from the crowd. Not only is this a powerful skid steer for sale, it is reliable too. The Cat 226 is equipped with a quality hydraulic system which boasts outstanding lift and power. Not only is the hydraulics system powerful, it is also reliable. The hydraulic system powers the wheels as well as the loader lift. It also powers the tilt functions and work tools as well as the engine cooling fan. Image Source: Caterpillar South Africa Website. A highlight of the hydraulic system is the Cat ToughGaurd hoses which enhances the strength and dependability of this skid steer loader. The optional flow hydraulic system takes performance to the next level while improving versatility. Another advantage of finding a Caterpillar skid steer loader for sale is that these machines are equipped with an exceptionally efficient cooling system. The design of the cooling package combined with the hydraulically powered cooling fan offers maximum cooling efficiency. The result of this excellent cooling system is that the machine can operate for longer hours in higher temperatures. 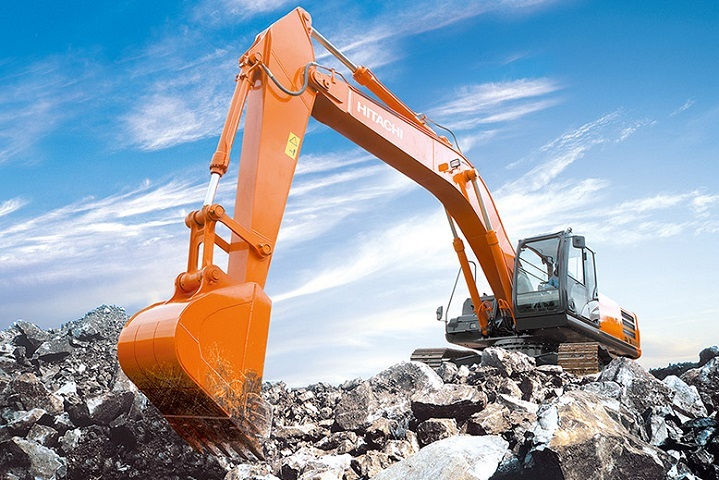 During challenging working conditions, the cooling system ensures excellent productivity. A variable speed demand fan is available for this model which offers fuel economy as well as improved performance. This feature also contributes to decreased noise levels as well as better performance in cold weather conditions. The 226B Cat skid steer loader boasts an exceptional power train which is both powerful and efficient. 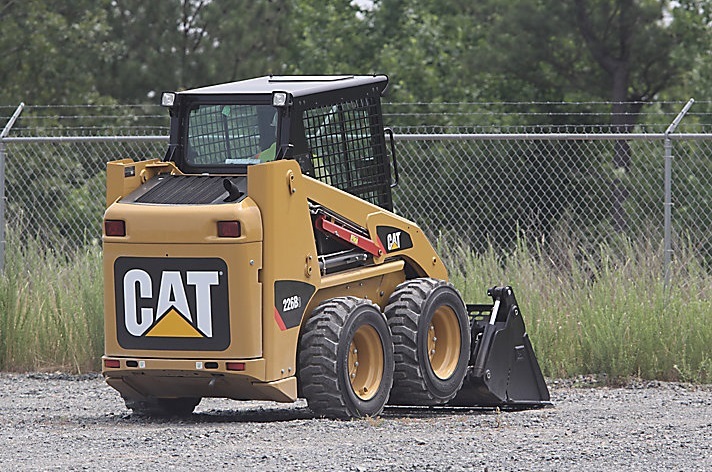 Equipped with strong and trustworthy Cat engines these machines won’t let you down when the going gets tough. The engines comply with the U.S EPA Tier 4 Interim regulations. They also adhere to the EU Stage IIIA emissions regulations. 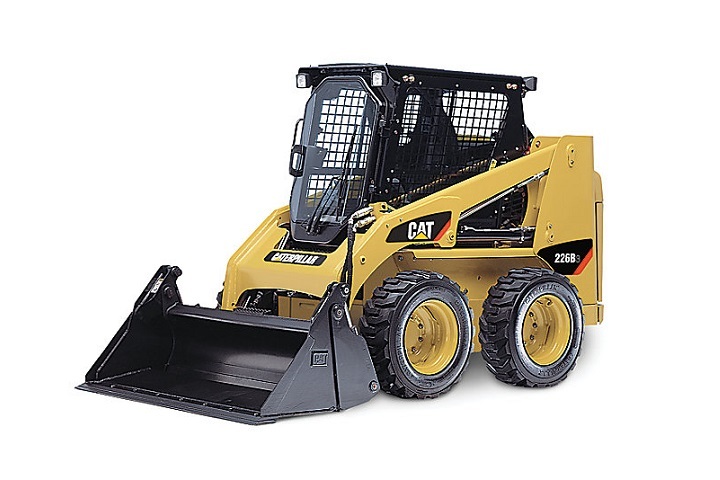 A benefit of finding a Cat skid steer for sale is that these machines are well-suited to cold planning and trenching. Hand and foot throttles make it easy for the operator to ensure that the engine speed corresponds to the task at hand. The hand throttle is great for tasks which call for a consistent engine speed. The foot throttle can be used for jobs that require varied engine speeds and when better fuel economy is required. Another highlight of the Cat 226 skid steer loader is its anti-stall feature which optimises machine power. Looking for a Caterpillar skid steer loader for sale? Create a Cat Skid Steer Loader Alert and get informed of the latest equipment and machinery advertised on Truck & Trailer. The operator station provides high comfort level supporting the operator and ultimately contributing to efficiency. 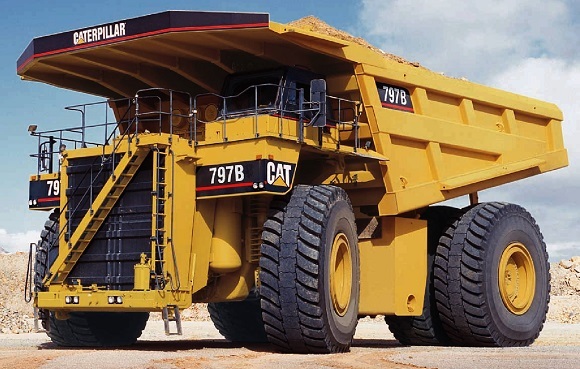 The simplistic design of the CAT 226 interior makes it easy to use. Its spacious interior improves comfort and offers plenty of room to complete tasks. The adjustable seat offers the option of customisation. The low effort controls contribute to reduced driver fatigue which plays a role in productivity. The joystick controls provide precision with reduced effort. Their ergonomic layout is also note-worthy. Outstanding visibility improves safety while making the operator’s job easier. Visibility is enhanced by a wide cab opening which makes it easy to see the work tool. The rear machine is within the operator’s line of sight due to the sloped design of the engine compartment. The rear view mirror offers a panoramic view of the Cat 226 Skid Steer loader’s back and sides. The side windows can be cleaned easily which also improves visibility. With the availability of suspension seats and the clear layout of the instrument panel, the B-Series machines provide extra comfort. The availability of an air-conditioner helps to improve the working environment inside the cab during adverse weather conditions. The ergonomic armbar is padded which contributes to operator comfort. 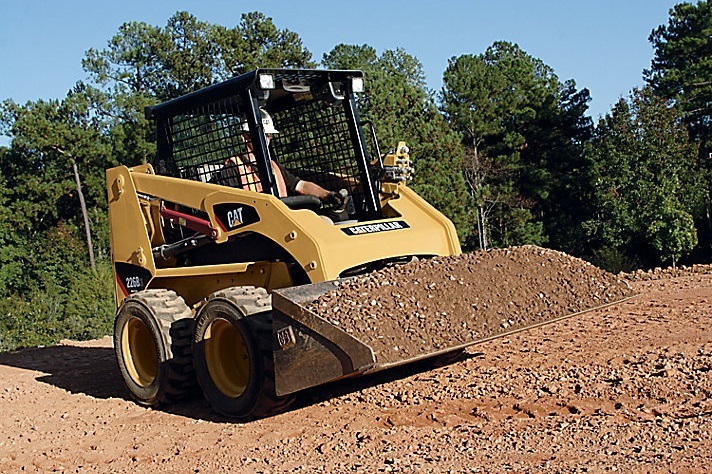 Looking for a skid steer loader that will get the job done? Create your Skid Steer Loader Alert on Truck & Trailer and get informed of the latest machinery advertised. With an extensive range of work tools to choose from, you can get more done with a Cat 226. 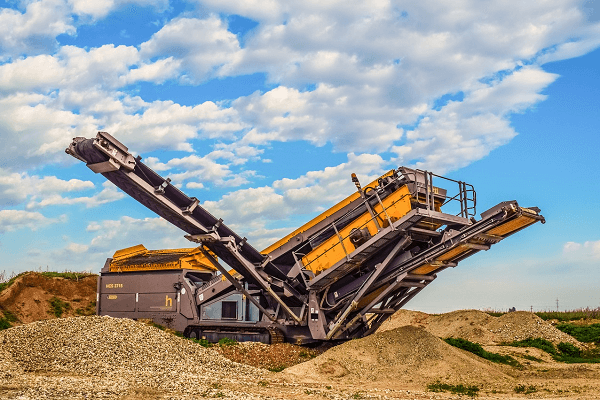 Work tools that are available for this machine include augers, backhoes, buckets and brooms. Cold planers, forks, hydraulic hammers and stump grinders are also available. Other options include trenchers, vibratory compactors and wheel saws. The Cat 226 skid steer loader has an operating weight of 2641 kgs. It has a rated operating capacity of 680 kgs and a tipping load of 1360 kgs. Its tilt cylinder breakout force is 1852 kgs. This Cat skid steer for sale has a wheelbase of 986 mm. The machine has a length of 2519 mm without the bucket, width of 1525 mm and overall height of 3709 mm. The ground clearance of the 226B is 195mm. For more information on the 226B Cat skid steer loader, take a look at the table below. Ready to find your next reliable skid steer for sale? Browse through the deals listed on Truck & Trailer and find great deals in tiptop machinery and equipment.